Why is typing speed important? Let’s compare the average typist to an above average typist. Hiring someone who types at the Internet average of 35 WPM can cover 16800 words in an 8-hour work day. Someone who types at 70 WPM can cover twice as many words. This means that hiring two average typists is equivalent to hiring one above-average typist. 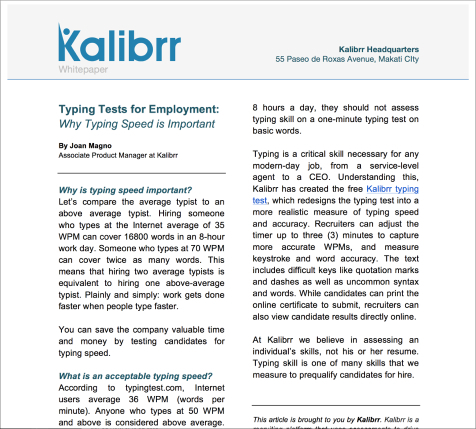 Plainly and simply: work gets done faster when people type faster.